Juno the jackal is the runt of the pack, and the other animals bully him because of his size. One night, Juno is chased by some dogs from the village, and he hides in a vat of indigo dye to escape. When he returns to the forest, his fur is bright blue, and the animals hail this strange new creature as their king. But can Juno keep his true identity hidden? Learn how to make Warli-style rice flour art — just like the illustrations in the book — in this great craft from Jessica. One day, Mikis’s grandfather has a surprise for him: a new donkey waiting! 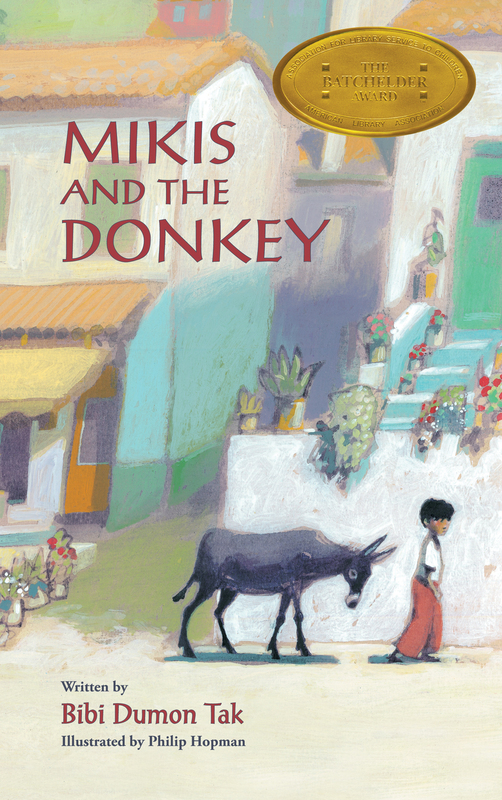 Mikis falls in love with the creature, but his grandparents tell him that the donkey is a working animal, not a pet. However, they still let Mikis choose her name — Tsaki — and allow the two of them to spend their Sundays together. Mikis and Tsaki soon become fast friends, and together the two have some grand adventures. Eventually, both Mikis and his grandfather learn a bit more about what exactly it means to care for another creature. 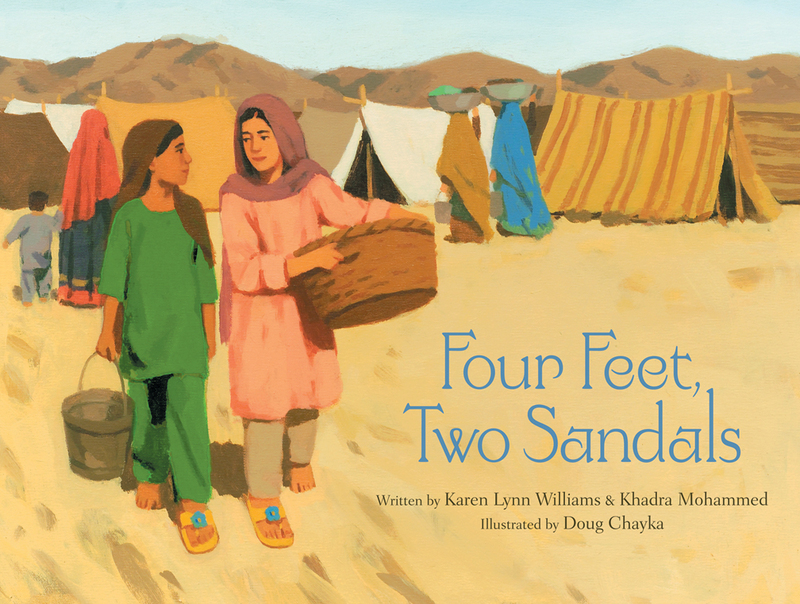 For another great book from this author-illustrator duo, see Soldier Bear (which also won the Batchelder Award), and for more about this book, see our five (or fifteen) questions interview with award-winning translator Laura Watkinson. Old Mariana longs for friendship, but she is feared by the village children and fearful of the hungry sea-wolves that hide in the sea-caves near her hut. When one day Mariana finds a Merchild inside a crab shell her whole life changes — but she knows that one day, when the sea is calm again, the Merchild’s mother will come to take her daughter back . . .
A memorable story of unconditional love, this poetic retelling of a traditional South American folk tale beautifully conveys the joy that may come if you open your heart to what you cannot keep. Fore more great stories from around the world, see our entire featured collection.